Pete's Geek Speak: It's a miracle, I'm healed! It's a miracle, I'm healed! Once you've bought into the whole Christian belief system you start to believe in all the fringe benefits, like healing. Time to accessorise that amazing tongues trick with the other gifts, signs and fruits. Perhaps that dicky knee can be replaced... or the fatty tissues slowed down? Of course you could start eating properly and exercise, but a quick fix and a prayer line would make it all a whole lot easier. Ah yes, take two prayers and see me in the morning if Cancer still persists. Guaranteed to sometimes work! You can realign your life and make resolutions fuelled by an amazing overnight healing that we can all suppose came from God above. Well, why not? The power of positive thinking, the placebo effect, that kind of thing. But psychologists report that the euphoria of the imagined healings will wear off in a short matter of time, and the failure to follow through on any of the promises they made to god for it will leave people even more demoralized than ever. But they'll be back. The people who fall for these things do so again and again. One woman seen at a Revival meeting seemed to see no irony in the fact that she'd been attending the same meetings regularly for three years without results. I've seen people convinced that God wanted to heal people and make idiots of themselves trying to heal someone of Cancer. Do they learn? Nope, they figure that they must have some sin, or something they've missed, not enough prayer, etc. Sometimes prayer works. Sometimes it doesn't. I have heard many second-hand stories that open the possibilities that there was a dynamic involved that was not explainable by the doctor. Certainly never seen anything in my 35 years of wandering that looked slightly supernatural in any way. I found the following story to be quite sobering when considering the magical properties we give to miracles that are not all that strange or miraculous in the first place. (The) introduction is to help show that I was very active and believed that I was indeed, a "True Christian. "And that's why when I had a miracle, I was extremely grateful, but not overly surprised. My god was a mighty god, after all, who reigned from heaven on high. Miracles were a normal part of my theology. At the hospital, the doctors told us there was nothing anyone could do. Her teeth would probably fall out. All they could offer, they said, was something for the pain and to stop the bleeding. So, with our now deformed-mouthed little girl, we went home, laid hands on her, and prayed to the Lord of Hosts to heal our whimpering baby. The pain medicine made our daughter groggy, so we put her to bed. When she awoke the next morning, her teeth were perfectly straight, and except for a small scar where she'd bitten through her lip during the fall, she was completely healed. It was a miracle. God had healed our daughter. We spread the news far and wide, and used that experience to testify to the living reality of our God.That was 15 years ago. About seven years ago, I started to severely question my faith. I eventually left Christianity and started this website. So, what about that miracle? In the last couple of years I've noticed that when our daughter sings, her face lacks symmetry. This doesn't seem to affect her ability for music, but it is somewhat distracting to the people watching her sing. I took her to an orthodontist for an opinion and found out that one side of her jaw is longer than the other. The only way to correct the problem, he said, was to break her jaw and re-set it. When it healed, hopefully, the two sides of her face when singing would appear more symmetrical. I asked what would have caused such a problem. He replied by asking if she'd had a hard fall when she was very young. "The coffee table!" I thought. The doctor explained that what probably had happened was that my daughter had damaged the jaw during the fall, which stunted the growth on one side. He assured us there was nothing anyone could have done, and there was no way to know the extent of the damage until our daughter grew up. We told him about her teeth being bashed into her mouth in the fall, and how the teeth had straightened over night. He said that things like that were not uncommon. The healing powers of the body, especially a young body, were amazing at times. What is my point with this little personal introspection? Many Christians hang on to their faith based on some personal experience that they consider to be miraculous. I know Christians frequently do this, because I was one of those Christians. Typically, the so-called miracles are fairly minor events, events that could be easily explained by any number of natural causes. I know this, too, because my miracle mentioned here is a prime example. For those Christians who are sure that Christianity is true because someone was healed of a backache, or someone babbled in an unknown tongue, or some old lady left her wheel chair for an hour or two, or something equally routine, I challenge that person to ask why amputees never grow new limbs. Ask why people who have lungs removed, never grow new ones. Ask why all the so-called miracles of healing by almighty God are so easily mimicked by the natural healing powers of the body. Believing is nice. It gives a wonderful feeling of being watched over and protected, but it's all a lie. As with most Xian churches, not just the GRC, if their god were a doctor then he would have his licence revoked. He doesn't seem to be very good at healing and his hit/miss ratio is very poor. The followers advertise that 'GOD HEALS' and then when people come along to meetings, etc, they come up short. Show me someone with a healing testimony that modern medicine couldn't have done just as well or better. New heart? Re-attached limb or fingers and toes? Nah, it is always headaches, back pain, colds and flues, cancer, other disorders. Things that medical science can well (at least attempt to) treat. It is a simple fact that modern medicine is far more reliable and heals more people than the GRC god. If a doctor advertised that he could heal and let as many people down as the GRC god then he would be on A Current Affair, have his practice investigated by medical boards and consumer groups, and be run out of town. Hang on, there's a new angle of attack David. GOD CAN HEAL...but usually doesn't. If there was a god, I don't think it would be wise to heal everybody who asked for it. 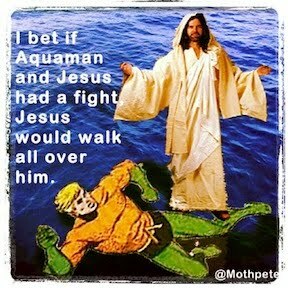 That'd make his presence too obvious and take away the need for faith. We wouldn't want that to happen, it'd wreck the whole system and give the game away. You may as well have all the Christian given the ability to fly and walk on water (which they should be able to do, but don't). So just randomly heal every 28th prayer and keep 'em guessing... call it 'a plan'. If you do a street survey - which has been done before - you'll find that just as many non-religious people have interesting stories of unexpected healings. Now either God heals people of all types (shock!) or our bodies and science are just radically underestimated.